Flanged Blast Gate Observation Ports – Tate-Jones Inc. 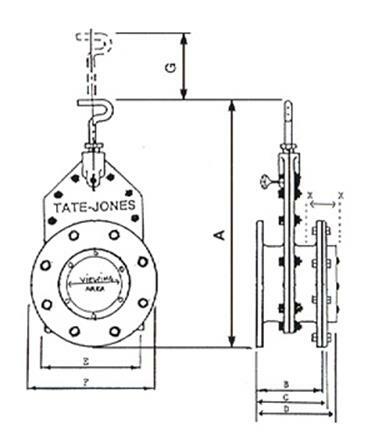 The Blast Gate Observation Ports use the Tate-Jones standard line of blast gates as the primary components and incorporate a mating flange, gaskets, and the glass lens which is secured by a metal retaining ring. The stainless steel slide arrangement in the blast gate gives added protection and life to the lens during operations, and allows maintenance to be performed with added safety during vessel down-time. Additional cooling can be obtained by adding a purge connection on the glass or vessel side of the blast gate housing. Three choices of glass are available for varying temperature exposures and viewing requirements. American Standard 125 flange pattern observation ports are available in 4″ to 12 ” sizes.